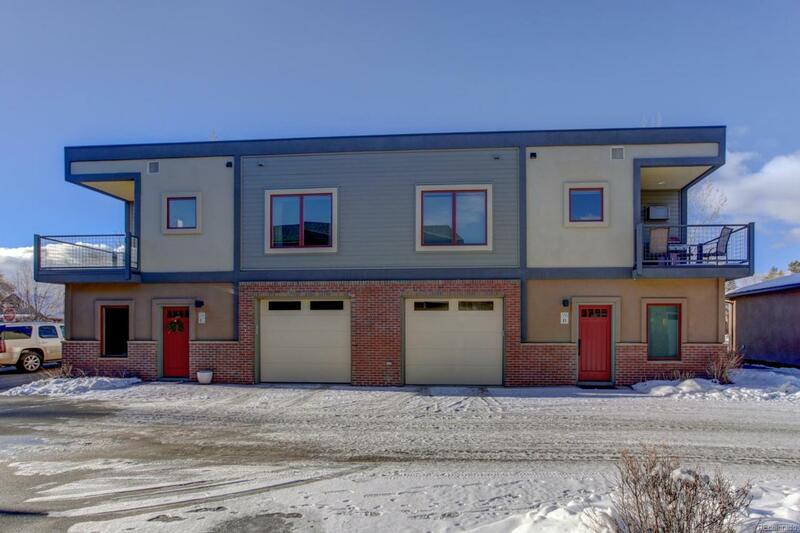 Available just steps from the Arkansas River is this large 2 bedroom/2 bathroom end unit condominium. Commercially zoned also makes it a perfect investment opportunity. Spacious master suite with walk-in closet, large second bedroom with access to a full bath and separate laundry area makes this living easy and convenient . Sip tea on the balcony to take in the dramatic views of "S" mountain or to hear the sounds of moving water off in the distance.The one car attached garage also offers ample storage for all your outdoor gear. One of the many great qualities of this home- Location, Location, Location! Being located in downtown Salida puts you a walk or bike ride from dining, shopping or on the trails for outdoor recreation. There is nothing missing in this well taken care of stylish condo. This is the home and community you have been looking for! Association Name Primary Salida River Front Condominiums Association Inc.